I saw this topic was brought up about a year ago, I'm curious to know what some of you do or did in regards to your yearly vaccines. My chow will be a year old soon, and due for vaccines. I plan to do the rabbies shot for sure, but, I don't know about the rest of them. My sister had a border collie/australian sheppard who was just over a year old. She took him in for his rabbies, DHP, and bordatella shots. Ten days later he got very sick. After a mountain of tests, they found he had an auto-immune disease. His red cell count was half what it should be. He was in and out of the vets sevaral days per week for about 2 months. He went through 3 blood transfusions and ultimately lost his battle. A few months prior to this, he had been sick and spent 3 days at the vets. They found he was slightly anemic then, but, really didn't make much of it. My sister's first thoughts were that the vaccines had made him sick. The vet told her she believed he developed the auto-immune disease from something else- he had knee surgery to correct luxating pattella. The vet believed that all the inflamation in his knee caused his immune system to start attacking itself, and had nothing to do with the vaccines he was given. Seeing everything my sister went through with her dog really has me questioning the safety of yearly vaccines and whether or not I want to risk it. I'm in a quandary about vaccs too. Kodi's due for her DHLPP next week. She has an autoimmune disease too (Pemphigus F diagnosed last Sept) so I'm doubly concerned. We have boarded her in the past, may again this year, and current shots are required by any licensed facility. Will be very interested to see what others say. We read up on auto-immune diseases and vaccines after this happened. In my sister's case, I guess it's very possible her dog had the auto-immune disease BEFORE the vaccines, and then getting them caused all the problems after the fact. In the research we did, it looks like more and more they are finding that vaccines may also be the cause a dog gets it in the first place . I've read that vets recommend NEVER vaccinating a dog again that has been diagnosed with an auto-immune disease (there are several I believe, so not sure they recommend that for all the auto-immune diseases). The one her dog had was called AIHA or auto immune hemolytic anemia. Re: "She has an autoimmune disease too (Pemphigus F diagnosed last Sept) so I'm doubly concerned. We have boarded her in the past, may again this year, and current shots are required by any licensed facility." Vaccines should never be given to a dog who is ailing in any way, and giving yearly vaccinations is an outdated protocol which caused more harm than good. "Vaccine titre tests provide an alternative for pet owners who have concerns regarding the potential for adverse side effects associated with annual vaccination. These tests are now being accepted at many progressive boarding kennels, agility clubs , obedience classes, pet therapy societies and others." Kiwani, do you know what the new protocol calls for? It seems like you can call 3 vets and end up getting 3 very different opinions. My puppy had the 3 rounds of "puppy" shots, plus rabbies at 6 months old. Im told the rabbies was only good for one year, then to bring her back and the next rabbies shot will be good for 3 yrs. Koda had the 3 rounds of puppy shots and on the 3rd vet visit for the 3rd round, also got his rabies shot (at 4 months). I was also told that he had to come back next year for shots (rabies for sure) again. I have heard alot of discussion about the necessity of the other shots, and also wondered why, if they have a 3 year rabies shot, was Koda given a one year shot? Hummmmm something to ask the vet I guess. I truly don't like the idea of the vaccinations if they don't ned them. Rabies... we have to get that by law. When we get the rabies shots here, they also issue a tag and a license, But the others? I am really interested in what everyone else says also. I know we have awhile yet to worry about it, but I am interested. I would worry about the Parvo vaccine tho. Isn't it true that all they have to do is walk on grass or another area where a dog infected with the Parvo virus has been or eliminated, and they have the chance of catching it if not vaccinated against it? I have heard so many stories, that I am not sure what the real deal is. I have seen a dog sick with Parvo before, and would hate to see Koda sick with it. So what is the newest protocol, Kiwani? I have been asking this question for years, Lou started a survey once that came out 50/50. It is known that 50% of dogs over the age of 10 have cancer and some believe its due to the yearly vaccines and now that Pekoe is 10 and does have Cancer I talked to her oncologist about the vaccines and she agrees 50% of dogs over the age of 10 do have cancer but she didn't say it was from the vaccines she did say that many vets are stopping the once a year vaccines and giving them every 3 or 4 years and they are finding out the yearly vaccines might be causing trouble in the latter years. Pekoe has been getting all the yearly shots including lime ever since we have had her, almost 8 years but I did stop the vaccines 2 years ago how ever when I took her in for her Biopsy the vet gave them to her with out asking me. Don't go by what I am saying you should do your own research but if I had it to do over I would never do that yearly thing again maybe one series and that's it. I see dogs that are 15 years old that have never been to the vet, they get the left over table scraps for dinner and live long healthy life's unlike our spoiled little prima donna's that only eat the best foods, get the best medical care and are rushed to the vet if they scratch themselves or sneeze. This doesn't include rabies that's a must (only becouse its the law) I'm just talking about the other 4 or 5 shots. This is a recurring topic and rightly so...both Shiloh and Mr. N have had their initial series of shots. Once they got their 2nd rabies shot which is good for 3 years - that's it for them - no more shots. Because of the local laws and our environment, rabies is a must - as for the others, I choose not. I think that some of the other long time members do not vaccinate as regular as the vet might encourage. Re: "Kiwani, do you know what the new protocol calls for? It seems like you can call 3 vets and end up getting 3 very different opinions." The new guidelines are enmeshed with 'political compromise' because of complaints over loss of income. You'll see a wide range of political 'spin' on this issue from vets, and can contact your closest veterinary school. "Some organizations have come up with a political compromise suggesting vaccinations every 3 years to appease those who fear loss of income vs. those concerned about potential side effects. Politics, traditions, or the doctor's economic well-being should not be a factor in medical decision." "Dogs and cats immune systems mature fully at 6 months. If a modified live virus vaccine is given after 6 months of age, it produces immunity, which is good for the life of the pet (ie: canine distemper, parvo,feline distemper). If another MLV vaccine is given a year later, the antibodies from the first vaccine neutralize the antigens of the second vaccine and there is little or no effect. The titer is not "boosted" nor are more memory cells induced. Not only are annual boosters for parvo and distemper unnecessary, they subject the pet to potential risks of allergic reactions and immune-mediated haemolytic anaemia. Puppies receive antibodies through their mothers milk. This natural protection can last 8-14 weeks. Puppies & kittens should NOT be vaccinated at LESS than 8 weeks. Maternal immunity will neutralize the vaccine and little protection (0-38%) will be produced. Vaccination at 6 weeks will, however, delay the timing of the first highly effective vaccine. Vaccinations given 2 weeks apart suppress rather than stimulate the immune system. A series of vaccinations is given starting at 8 weeks and given 3-4 weeks apart up to 16 weeks of age. Another vaccination given sometime after 6 months of age (usually at 1 year 4 mo) will provide lifetime immunity." Willow has had the 7 way (think that's the one that includes kennel cough) and she's had the booster last year. She'll still go in for check up's every year but I'm not planning on any more vaccines other than rabies. Last year all of my Chows got the full vaccines. They were all rescued in 2004 and 2005, so everyone got full vaccines for everyone's protection. This year I will only get the three year rabies. Without the rabies, they cannot be licensed in Chicago or Cook County. I am still uncomfortable and unsure about yearly vaccines. Kodi had a followup visit at the vet today (for her pemphigus) and the vet and I discussed postponing or skipping this years DHLPP considering her auto immune condition. He agreed!! Side note: she'll be down to one 50mg imuran every other day and one 20 mg prednisone (which will be 1/2 the dose of pred she's been on for 3 mo) alternating every other days starting tomorrow. She does have some muscle waste in the back legs which is worrisome considering her (young) age. Would be great to be off the pred altogether, but no can do while she has this condition/disease. Thanks to Kiwani for the advise of adding the Omega 3's to her diet. Vet was cool with that too. Re: "the vet and I discussed postponing or skipping this years DHLPP considering her auto immune condition. He agreed!!" "While you are taking prednisone, you should not be vaccinated or immunized. This medication decreases the effectiveness of vaccines and can increase the risk of infection if a live-virus vaccine is administered." Re: "She does have some muscle waste in the back legs which is worrisome considering her (young) age. Has the doctor prescribed any supplements to at least protect the bones? kiwani wrote: Re: "the vet and I discussed postponing or skipping this years DHLPP considering her auto immune condition. He agreed!!" I will ask him when he calls today with her blood test results, but he's a pretty conventional meds doctor, as much as I really like him (I prefer a more holistic approach, but...). Kiwani: What would you suggest I ask him about (supplements-wise)? Re: "he's a pretty conventional meds doctor..."
Kiwani, this whole immunisation problem was a great worry to Fred and me when Milly and Mabel were chowlings. When Milly came to us at 6 weeks old, her breeder had taken her for the first set of injections a couple of days before. We took her to our vet at the appointed time and had the final course done. We don't have rabies on The Island so that was not necessary. When Mabel came to us at 6 months old, she had all but the last injection so we took her to the vet and had that done. Then, twelve months later, we considered and considered hard with all that we had read and heard and we made the decision not to take them for boosters. They are fit and well (to the best of our knowledge) - we take them to the vet every now and again for a little check-up or if there is something wrong. Is there anything we should be doing for them. There feeding routine seems to suit them - they have nice coats and we excercise them moderately, they are happy, cheeky and aloof but I do worry a little. Here on the Island, we would have to have their injections up-dated if we needed to put them in kennels but we have family members who will come and stay with them in our house if we need to go away for a day or two - or if we go on holiday, we take them with us. Re: "What do you think, please?" Um! Thankyou - that is about what we think - and I think their food seems to suit them well so I consider I will carry on they way we are going now - unless of course there is a severe outbreak of anything then ............... ? I'm bringing this to the top again, just because I discussed this topic with our vet while we were in there picking up Koda's monthly meds this morning. Doc is all for the 3 year rabies vaccination the next time Koda has to have one. The only reason he likes to push the yearly is to make sure the dog has it's annual checkup. He said unfortunatly, too many dog owners refuse to take their dogs in for check ups unless they absolutely have to, and since rabies vaccines are a have to, at least he gets a chance for a check up then. He said as far as Koda was concerned, he knows I'll bring Koda in when he is due and if I want to go the 3 year, that's fine with him. It is legal and acceptable here. As far as the other shots go, he said that was entirely up to me. He said he feels alot of it depends on the situation. If a dog is out running all the time, then he feels it needs the other vaccinations for parvo and distemper. But house dogs don't need them. I have to admit, I was kind of surprised, but plesantly surprised. I love Doc, but he is a small town/small practice vet and I kind of figured he'd push for the vaccines. But he didn't. He just said alot of all of it depends on the owner and how the dogs are taken care of. And Koda wasn't one that he had to worry about. Nancy, I'm a bit confused on your post. Are you saying that your veterinarian chooses to make the rabies vaccination a yearly vaccination even though it's okay to do a three year, just to get people to come in and have their dogs seen? I'm not sure that's legal. The regulations on the rabies vaccines are state-mandated. He doesn't have the option to say that he's only going to give a one year vaccination except for the very first vaccination (which I believe is always a one year). The same vaccine is used whether it's a one year or a three year. If he gives a rabies vaccination to a dog that was vaccinated a year before, and chooses to say that the second vaccination is only good for a year, he's cheating his customers (as well as over-vaccinating their dogs)! Maybe I mis-understood your post and you were talking about the distemper/parvo. We never have to give our dogs distemper/parvo if we choose not to. There are no laws regulating that. The vet can recommend but he can't insist. 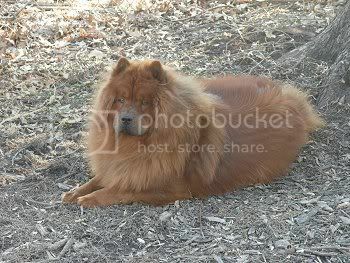 On this discussion as a whole - I am in a current dilemma with Kylee (my 14 1/2 year old chow). The dogs are all due for their three-year rabies, and I wasn't going to vaccinate Kylee. But now I've decided to go to a dog show in Canada (driving) and I hate to leave Kylee with anyone. She always travels with me. To get her across the border, she has to have the rabies vaccination. She's in good health overall but still ... I am just not comfortable with giving her the vaccination. So I'm leaning towards leaving her with my Mom (she adores Mom). I just feel torn at leaving her behind, because in the last 14 years I haven't gone much of anywhere without Kylee. She's travelled to Montana and Chicago by plane with me, driven a 10,000 mile road trip to the nationals in St. Louis and back, was on the road trip to the Portland nationals in 1998, and has gone all over the state of Alaska during our travels. It's like I'm giving in to her age by leaving her home .. Okay, I'll quit whining now. She's my baby, hate to go anywhere without her, but I really think that it could be a problem to give her a rabies vaccination at her age. I may have stated what I was trying to say wrong. Doc does not choose which rabies shot for the patient. His words were "I leave the decision up to the owner, but with alot of his patients he "prefers" the 1 year vaccine because unfortunatly alot of owners don't take their dogs to the vet for anything but a rabies shot and at least a one year rabies shot gives him a chance to get a quick check up before the shot." He said after the initial rabies shot as a puppy, then he gives the option of 1 year or 3 year rabies shots, both are legal and accepted by them, the county and the state and he has both available at all times. I do know from taking my other animals to him through the years that he does not do shots without a check up. Whether or not that is leagl, I don't know, but I for one prefer it that way. But he never said he makes the decision for the owner, he said he gives them the option of both the 1 year and 3 year. Just he'd prefer the 1 year for some of his patients and stated why. We don't have a choice with rabies shots here. To have our dogs licensed with the county, we have to have a rabies shot and there are very stiff fines for the owners of dogs here who are running loose (1st fine) and have not had their rabies shot (2nd fine). We all know how chows can be escape artists, and what the attitude of most people is towards chows. So of course there is absolutely no way I'd not have Koda vaccinated against rabies. I remember when my neighbor's beautiful blue chow was shot by the town cop for no reason but a hatred of chow, and that will forever haunt me and keep that fear in me of people's attitudes towards my chow babies. I guess my post was just a statement in how pleased I was in Doc's response to the other vaccinations not being necessary, He is a small town/practice vet and usually pretty conventional. I guess I figured his reaction to Koda not being vaccinated with the other vaccines surprised me. I didn't expect that. But that isn't the first time he has surprised me like that. I'll just have to be more careful in how I post after this. I sure feel for you about having to leave Kylee behind. They know how to pull on our hearts for sure.